Last year, Sophia Vergara’s former fiancé, Nick Loeb, garnered media attention (including a controversial opinion piece in the New York Times) when he sued the actress over two embryos the couple had fertilized during their relationship. The lawsuit, which was not particularly unusual, but notable because it involved a celebrity, raised a series of ethically sticky questions about embryos, ownership, and parenthood: When does life begin? ; can one person force another to become a biological parent? ; and, what role does the government have in determining the answers to those questions? Now, a new law in Missouri, co-sponsored by the Missouri Right to Life, is trying to answer those questions. Can Sofia Vergara&apos;s Ex Legally Stop Her From Destroying Frozen Embryos? Courts across America have been divided on how to answer those difficult questions. 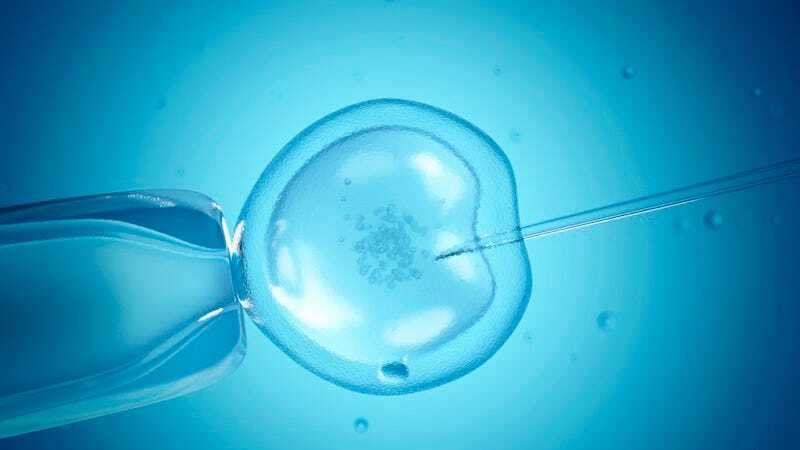 When couples split, they’re forced to reconcile ownership of material goods like houses and cars, but embryos have increasingly become the site of numerous lawsuits between exes, many of whom argue that embryos simply cannot be treated as mere property. In a 1999 case in Massachusetts, for example, a couple had signed consent forms to give the embryos to the woman in the event of a divorce. But the judge overruled the agreement, arguing that her ex-husband had a right not to procreate. In contrast, a 2015 case in Illinois overruled an agreement in favor of a woman who wanted to use the frozen embryos, on the grounds that she wouldn’t otherwise be able to have biological children because she had had cancer treatments. But in yet another case that year, Mimi Lee, a California woman who also lost her fertility because of cancer treatments, was denied the use of her frozen embryos. In the middle of the debate is Jalesia McQueen, a Missouri woman who is the subject of a long Buzzfeed profile. After losing an embryo fight with her ex-husband, McQueen became the face of House Bill 2558. The Missouri bill, which is co-sponsored by a number of pro-life groups, including Missouri Right to Life, would require judges in the state to rule, “in the manner that provides the best chances for the in vitro human embryo to develop and grow.” In short, judges would be barred from ordering the destruction of an embryo and embryos would be given to whichever parent/donor wants to either preserve or implant those embryos. The bill has exceptions for child support and allows the court to terminate the parental rights of the opposing donor (meaning, the opposing parent/donor is off the hook both legally and financially). The law essentially attempts to sidestep the ethical and legal questions of compelling another person to be a biological parent against their will, ironically treating the objections of a potential parent as little more than a financial question. More controversially, the bill compels a judge to treat an embryo as a life, effectively positioning personhood at the moment of fertilization. For their part, the ACLU argues that compelling a person to “procreate against their will” is a violation of the 14th Amendment. HB 2558 passed a committee vote in late April and is scheduled to move to the House in mid-May. Buzzfeed’s piece is worth reading in full.